We have received a lot of feedback through the consultation to date and these have contributed to our evolving plans. We are very interested to hear your views as it will help us to further refine and shape our proposals. Please take a few minutes to complete our online survey and share your thoughts. What is the South Molton Triangle? 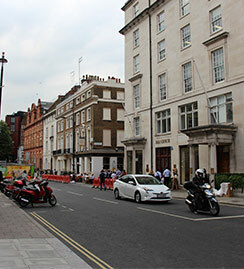 The South Molton Triangle, bounded by Davies Street, Brook Street and South Molton Street, covers 4 acres within the Mayfair Conservation Area. For a better understanding of the South Molton Triangle today watch our short film above. DOWNLOAD details from second consultation in January. Welcome to the South Molton Triangle website, where you can view details of the current proposals and provide feedback. Our public consultation will continue up to and beyond the submission of our planning application, which we expect to make in summer 2019. Thank you to all those who have given their views and ideas to help shape the future of the area.